HBK members Iamsu! 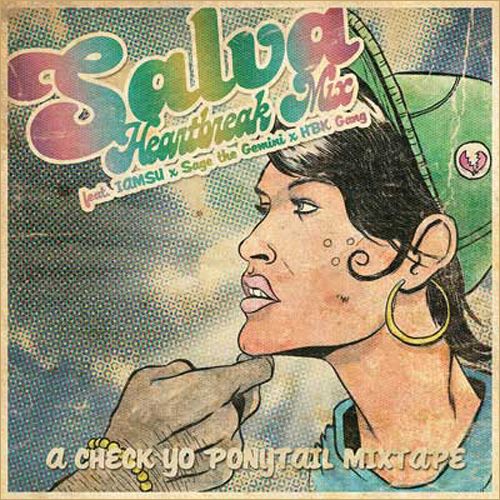 and Sage The Gemini turn up the energy with their new collaborative mixtape Check Yo Ponytail 2. The duo combine forces with producer Salva to deliver an official Heartbreak mix of songs also featuring additional members from the HBK clique. The 15-song project also contains a new salva remix of the Sage The Gemini’s breakout hit “Gas Pedal.” Check out the official tracklist provided and CLICK HERE to download the latest offering the California natives. This entry was posted in Music and tagged check yo ponytail 2, hip hop, iamsu, mixtape, rap, sage the gemini. Bookmark the permalink.